A3 towards Frankfurt. 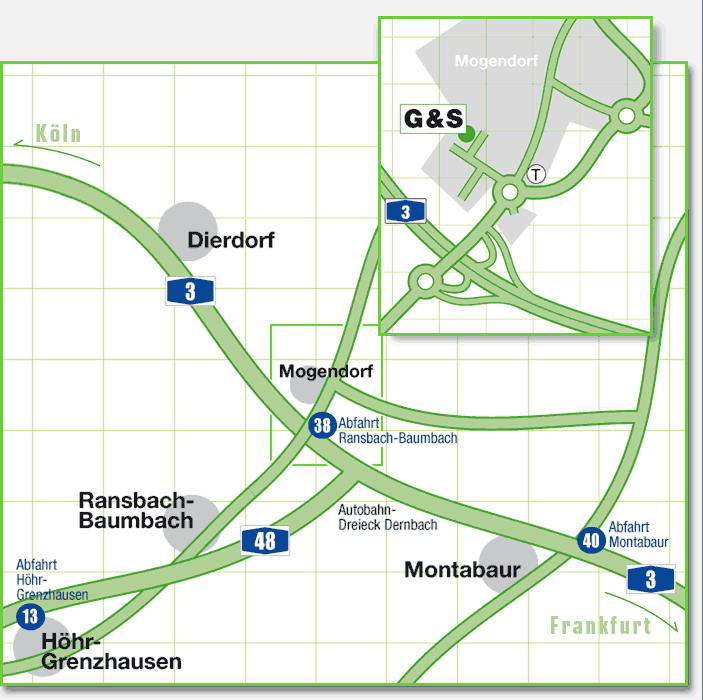 Ransbach-Baumbach / Mogendorf exit. 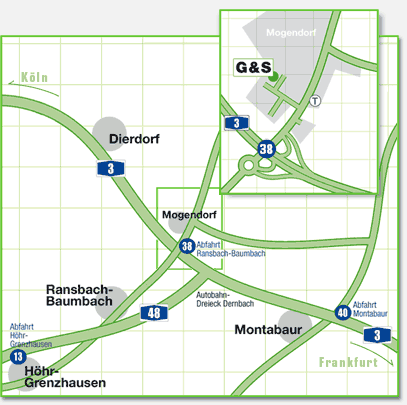 Turn right towards Mogendorf at the roundabout at the motorway exit. Take the next left into the Erbeshahn industrial estate. Go up the slope and turn right at the top (signposted). A3 towards Cologne. After the Dernbacher junction take the Ransbach-Baumbach / Mogendorf exit. At the exit, turn right towards Mogendorf. Take the next left into the Erbeshahn industrial estate. Go up the slope and turn right at the top (signposted).